In 2008 Marvin Dunson began to think about using the family farm to produce wines. The family farm, at the base of beautiful Currahee Mountain, had once been an apple orchard owned by Marvin's parents. By 2009 planting had begun that would ultimately lead to award winning wines. Marvin's daughter, Ashley, was very instrumental in getting it all started. The first wine that Marvin produced was Sweet Cheryl, a sweet red muscadine wine, in memory of his wife who died of cancer before ever seeing the vineyards and winery. The next three to be produced were also muscadine wines—3 Mile White, Golden Harvest, and Currahee Rose. Our portfolio has now grown to over 12 wines, three of which have won INDY (Indy International Wine Competition) medals—Ole Blue, Blanc du Bois, and 3 Mile White. We are very excited about 2017 for several reasons. Over the past two years we have really started to expand our portfolio. New slushy mixes have been launched, Destiny, a dry red blend, and Currahee Red, a semi dry red wine, were both released in 2016. We have also begun selling our wines through our new website (GA & Select states), we will be the selected venue for several weddings and private parties throughout the year, and a couple more surprises are planned. At the end of the day, we really wanted to spend less time talking "about us" on the website and spend more time expressing our gratitude and thankfulness to our customers. Everything we do—from making wines, hosting private events, to parties at the vineyard—all is done to enable our customers to have fun and make or relive wonderful memories. 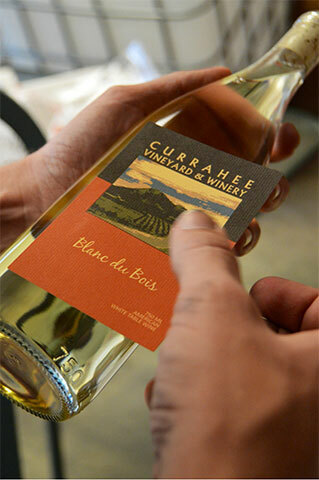 Come for a visit and enjoy the vineyards, beautiful views, picnics, our wines, and become a part of the Currahee family.